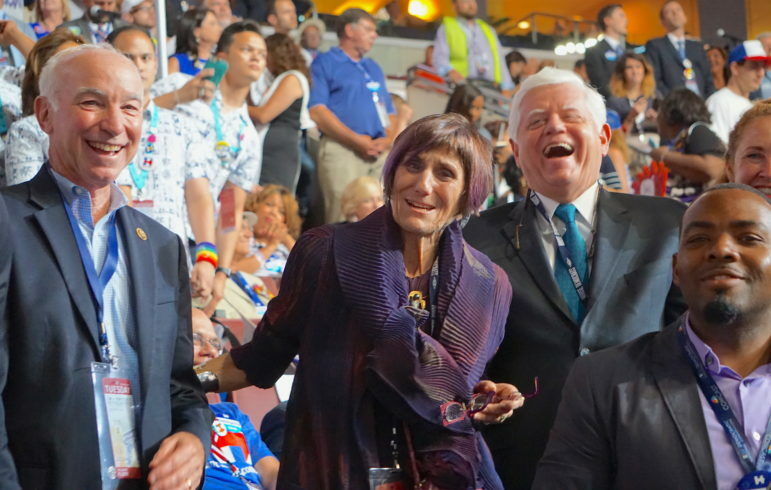 Connecticut U.S. Reps. Joe Courtney, Rosa DeLauro and John Larson. Washington – While most of Connecticut’s lawmakers have been given the same jobs they had in the last Congress, those jobs have changed in notable ways. 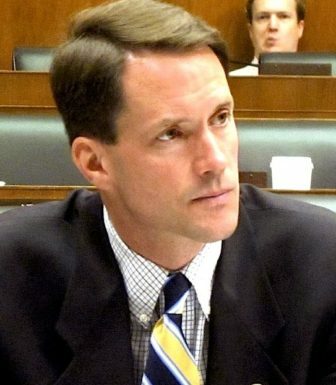 With the exception of Rep. Jahana Hayes, who is new to the U.S. House of Representatives, Connecticut’s House members have new clout as subcommittee chairmen who will now be able to hold public hearings on favored issues and advance projects that have stalled during the eight years House Democrats have been in the minority. Although their newly-won clout may not translate into the passage of a lot of legislation, some of the delegation’s more bipartisan bills may be able to get through the GOP-controlled Senate and win President Donald Trump’s approval. No matter. After their party won control of the U.S. House in the midterm elections, Connecticut’s Democratic members of Congress will have higher profiles and their priorities will get more attention. 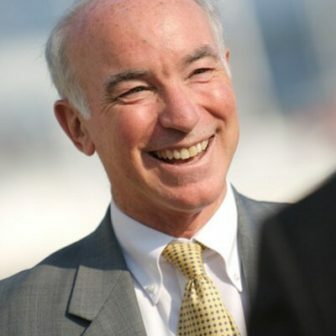 On Wednesday, Rep. Joe Courtney, D-2nd District, was officially named chairman of the Armed Services Seapower and Projection Forces subcommittee. Courtney had been the highest-ranking Democrat on the panel, but as chairman he will be able to schedule hearings. Courtney said he plans to hold several, including one on a spate of Navy vessel collisions last year and another on Russian naval aggression. Perhaps most importantly for his district, which includes Electric Boat and the Naval Submarine Base in New London, Courtney will be able to influence the Navy’s budget. Although President Donald Trump will propose a budget for the Navy, it’s Congress’ role to authorize and appropriate the money, and lawmakers generally makes changes. Courtney will be involved in that debate. The budget for construction of submarines is expected to dip in 2020, then increase as Electric Boat begins construction in earnest on the new Columbia-class nuclear ballistic submarines. “2021, that’s when the really big increase in Columbia really starts, that’s when the price tag really jumps,” Courtney said. However, submarine construction will have to compete with other Navy shipbuilding priorities for what may be scarcer Pentagon dollars that year. Courtney will also continue to sit on the House Education & Labor committee, serving on panels with authority over higher education and on teacher health, employment, labor and pension issues. That means Connecticut will have two members on the House Education & Labor Committee, as Hayes, D-5th District, has also been given a seat on that committee. Hayes, a 2016 national Teacher of the Year, had lobbied Democratic leaders for the job. She was also given a seat on the House Agriculture Committee. 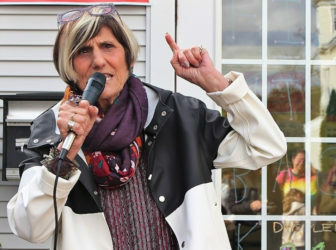 Rep. Rosa DeLauro, D-3rd District, is the new chairman of the House Appropriations subcommittee with jurisdiction over the budgets of the Department of Health and Human Services and the U.S. Department of Education. In the last Congress, when her party was in the minority, DeLauro was the top-ranking Democrat on the panel. But like Courtney, the chairmanship allows DeLauro to hold hearings, and gives her more influence on budget issues. DeLauro also keeps her seat on the Appropriations subcommittee, with jurisdiction over the U.S. Agriculture Department, and remains in her leadership position as co-chair of the Democratic Steering & Policy Committee. Named by House Speaker Nancy Pelosi to the steering and policy committee job, DeLauro helps decide the committee assignments of Democratic House members and help shape her party’s message. “The bold visions and deep strategic insight of our new Steering & Policy Committee co-chairs will be critical to Democrats’ mission to deliver on our positive, ambitious agenda For the People,” Pelosi said. Rep. Jim Himes, D-4th District, is also expected to be elevated to head a subcommittee, on the House Intelligence panel, which has not been organized yet. Himes is in line to chair the intelligence subcommittee with authority over the National Security Agency (NSA) and cybersecurity issues. The House Intelligence Committee will be on the forefront of investigations into the Trump administration and will keep Himes in a high-profile, and controversial, role. For example, the committee recently announced it will look into a viral video that was disseminated by a suspect Twitter account this weekend that sparked a national controversy over high school students who surrounded a Native American man on the National Mall. Himes also keeps his seat on the House Finance Committee, which will help him with constituents in his Fairfield County-based district with Wall Street ties – and boost his already keen abilities to raise campaign cash from financial interests. 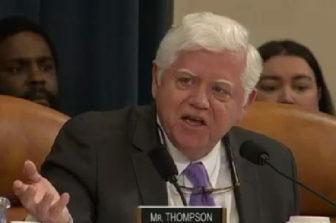 Rep. John Larson, D-1st District, is a subcommittee chairman on the powerful Ways and Means Committee. Larson now heads the Social Security subcommittee, with authority over one of the nation’s largest federal programs. Larson promised to hold “an aggressive process with expert witnesses” to advance one of his key projects, a bill that would reform Social Security. He said he would introduce the bill on Jan. 30, President Franklin D. Roosevelt’s birthday. Roosevelt signed the Social Security Bill into law on August 14, 1935. Unlike Connecticut’s House members, Connecticut’s senators remain in the minority in the new Congress, and in their old jobs. Sen. Richard Blumenthal, D-Conn., has seats on the Senate Judiciary Committee, the Armed Services Committee, the Committee on Commerce, Science and Transportation and the Committee on Veterans’ Affairs. That gives the workhorse senator a wide range of issues to get involved in, even if as a member of the minority he can’t always control the agenda. Sen. Chris Murphy, D-Conn., remains on the Senate Appropriations Committee, the Senate Health, Labor, Pensions and Education (HELP) Committee and the Senate Foreign Affairs Committee. Murphy is expected to continue to use the platform the foreign affairs panel affords him to criticize the Trump administration’s most controversial foreign policies.